Ortofon introduced the Verto transformer several years ago. Prompted by the will to produce a more ambitious products that could match its latest innovations like the MC Windfield and Mc Anna, the Danish manufacturer has now unveiled the ST 80 SE. The stereo design of this transformer departs from competitor products by the large coils, made up of many gold-plated high purity copper windings, as well as a very powerful magnetic circuit. 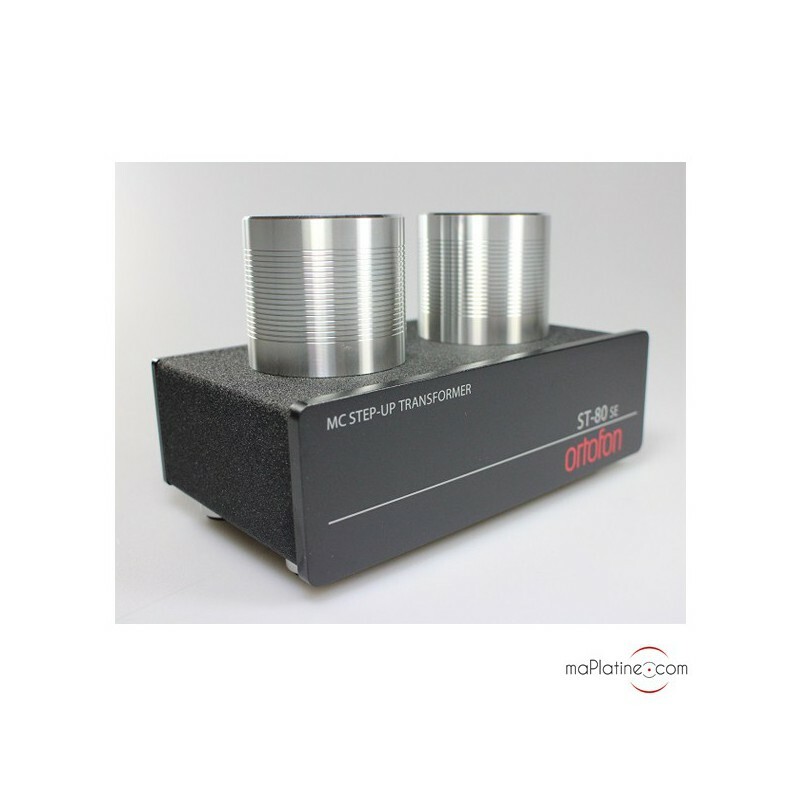 To ward off magnetic interference from the coils, they are housed in a permalloy case the is in turn housed inside a 10 mm thick solid aluminium cylinder! A record as far as we are concerned! 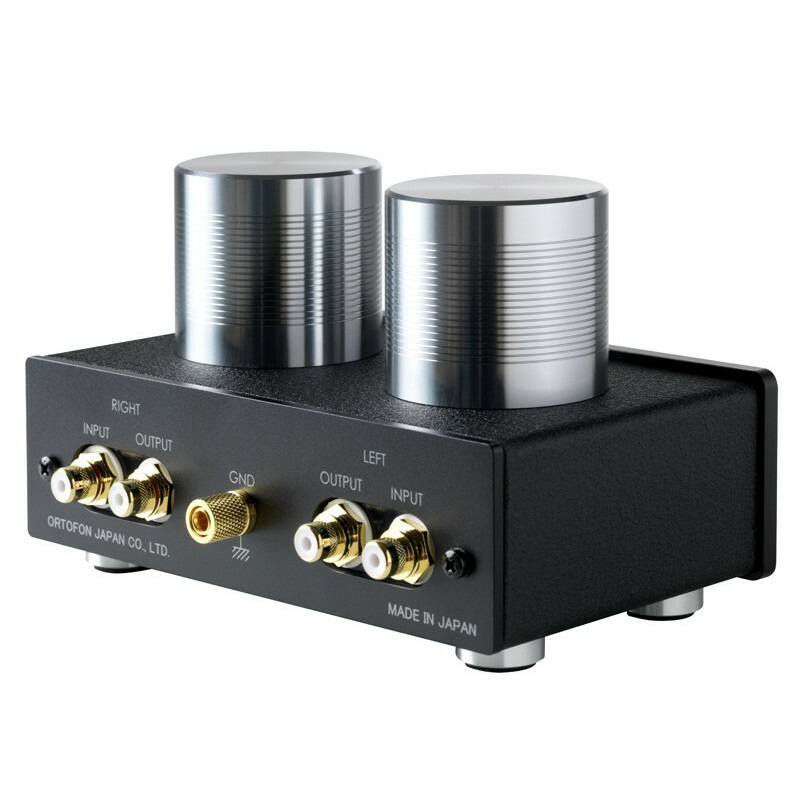 It naturally features a fully dual mono architecture for optimum channel separation and low distortion. 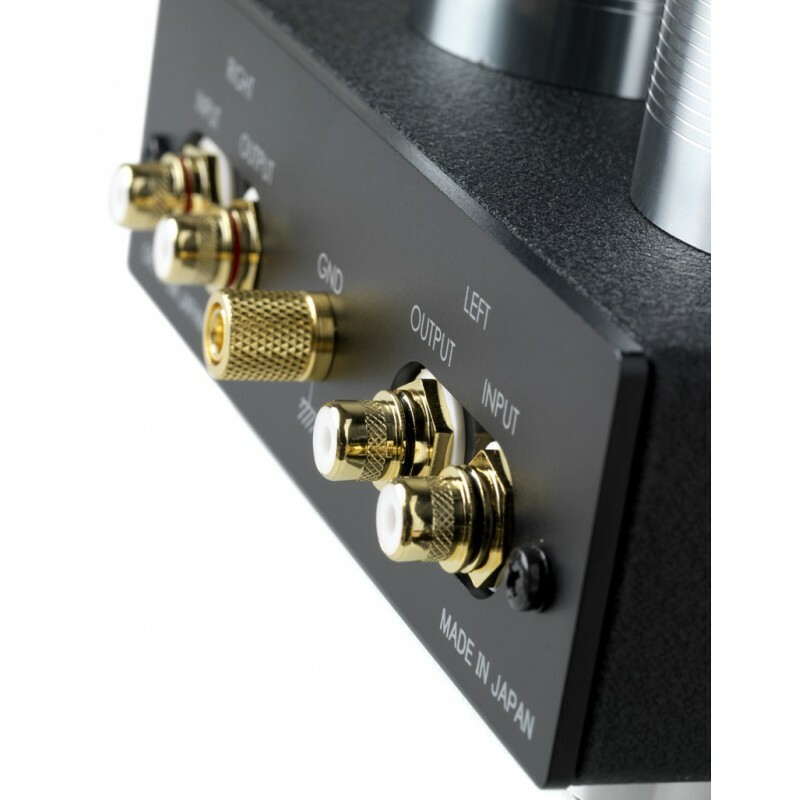 Its significant weight anchors it even when used with high-end, very rigid and heavy phono cables. The internal wiring is meticulously crafted, with point-to-point terminals and with PTFE (Teflon) insulation. We paired it with a Cadenza Black and a high-end MM phono preamplifier… The sound quality is amazing by the timbre quality and the detail level. The presence and transparency are far superior to competitor transformers. 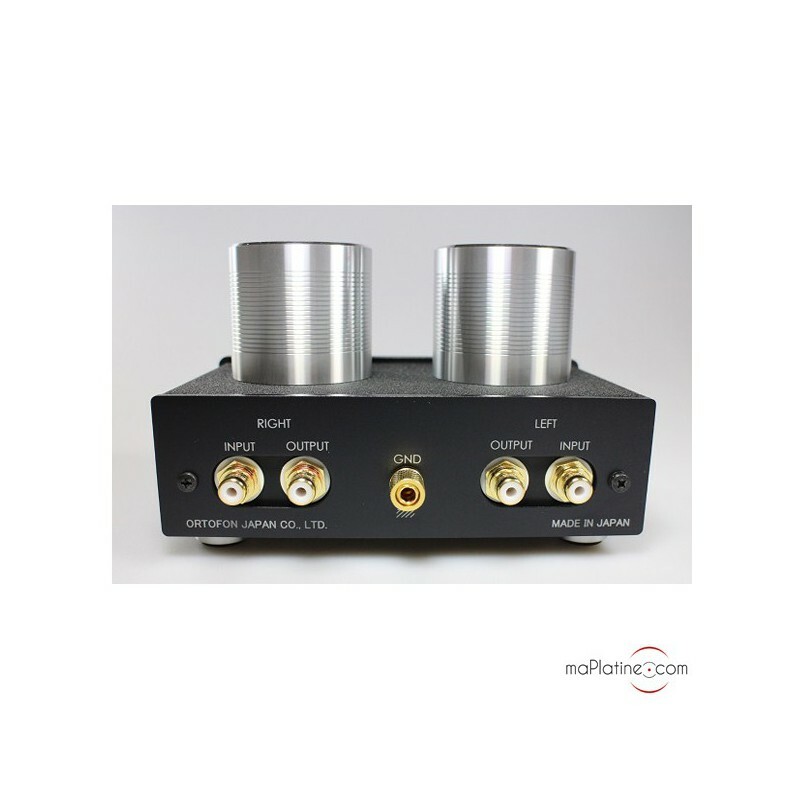 The dynamics are also to be reckoned with and are a match to the best MC phono stages. 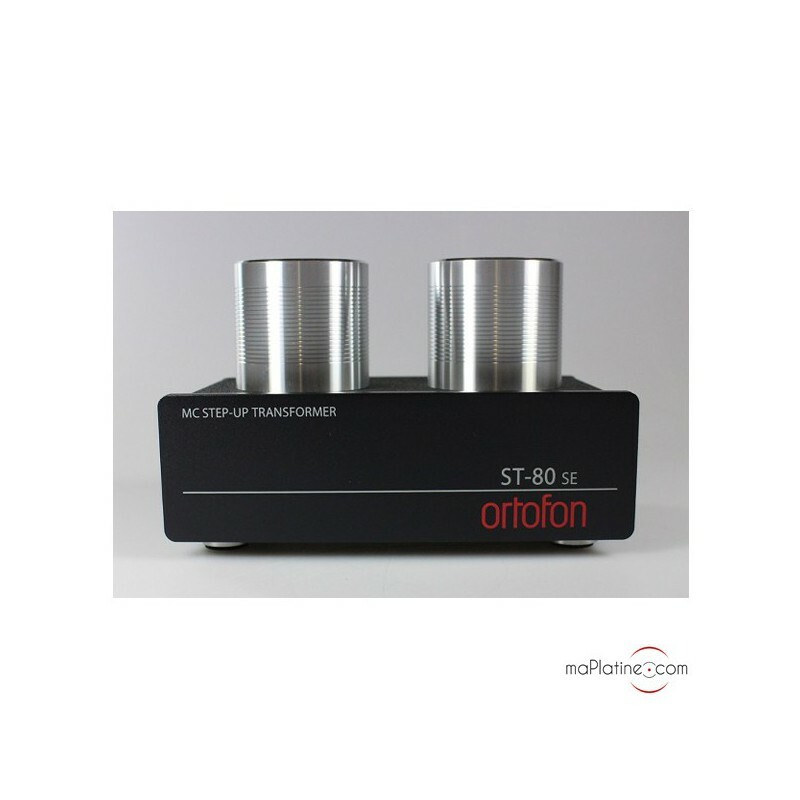 Le transfo Ortofon ST80se produit une excellente élévation du faible signal MC bobines mobiles pour accéder en entrées MM aimants mobiles. Avec des cellules MC comme l'Ortofon Cadenza Black et Transfiguration AXIA, par rapport à des entrées ou pré-phono MC, il développe une image de scène ample et dotée d'une belle énergie; tout en restant parfaitement neutre sur les différentes modulations. Il représente une alternative intéressante et judicieuse.